Hi! Nice to see you here! I have few pleasant things to share with you today. 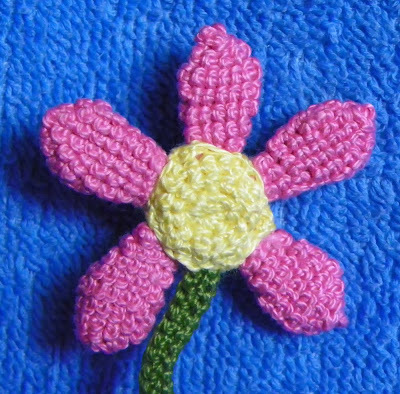 First is my new crochet flower, that I mentioned in my previous post. It finally bloomed in my hands today and now is brightening my shelf. Welcome to my shelf! 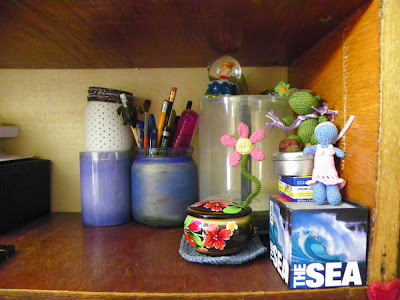 Some of my amigurumi live here, by the way. Hippo and a Girl - if you are not acquainted yet. 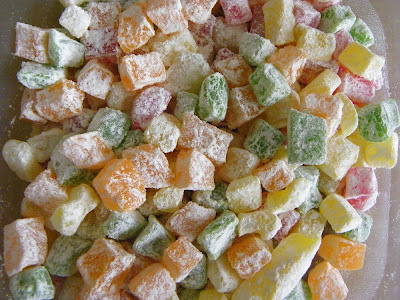 Second is a little bit of sweet Turkish delights for tea - colorful fruit rahat lakoum. You have to try some if you'll have such opportunity. It is fantastic. 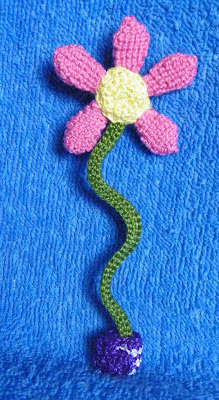 And third are some Easter decorations, that I bought in the supermarket yesterday. 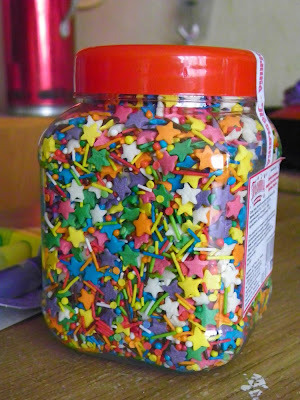 Here we have some sprinkles. And a colorful pencils. Direct translation says 'sparkling pencils'. 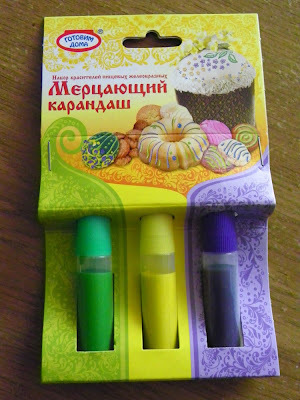 They can be used for decorating Easter bread, drawing different things on it, etc. I never used such things. I'll tell you my opinion after trying. This year my grandma is going to teach me how to make traditional Ukrainian Easter bread. This is an old family recipe, that I wanted to learn for a long time, but haven't got enough time each Easter. This year I decided to do this in anyway. I promise to show you the photo report and the recipe after we'll be done. Can't wait to begin. Especially when I'm thinking about using my new decoration. 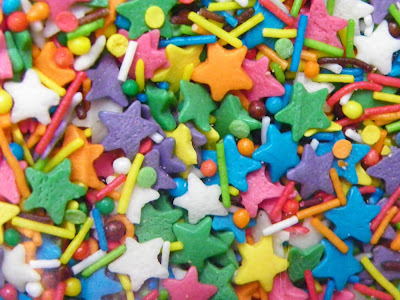 The sprinkles are just amazing, especially those purple stars. P.S. I'm going to have a fantastic weekends on the countryside. We are going to have a picnic celebrating my boyfriend's birthday. I think, i'll have a lot of nice pictures to share with you after that. Keep in touch! See you soon!